Crochet is a simple, fast and easy craft for young and old alike. 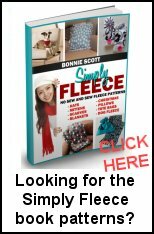 Create a beautiful and warm blanket with free crochet afghan patterns. Use uncomplicated patterns and colorful yarns to sew a lap robe in a weekend. Ripple, granny square and mile-a-minute patterns make up quickly and add texture and color to your room. Acrylic yarns are warm and washable for easy-care, durable blankets. Create a small baby’s afghan or a full size bedspread with free crochet afghan patterns. Big block, basket weave, star and diamond patterns are dramatic accents that look wonderful in wool, boucle or variegated yarns.